Chris Pirillo points out Old-Computers.Com. Ah, memory lane (or lack of)...So, I'm going to bore you with a list of my first computers. 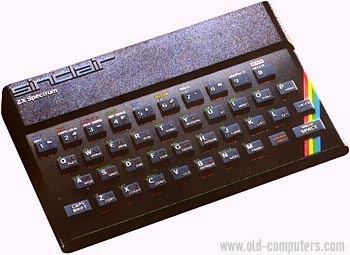 Upgraded to Sinclair Spectrum 48K (42K for programming! Phew!) .Keyboard: QWERTY rubber keyboard (40 keys) with up to 6 functions by keys ! Whoohoo. Online with Prestel. 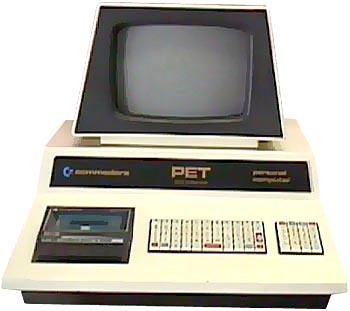 I didn't buy the Commodore Pet 2001, but used it at skool. Remember POKEs? 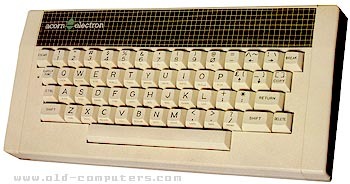 Went from the Spectrum to the Acorn Electron. Bad idea. Very bad idea. Stopped buying computers for a while as cricket took over my life...then I bought an Apple to teach myself how to build websites (1994...Pagemill and CuteFTP some FTP client). I can't remember the exact Apple model, (and Old-Computers.com has a limited library of Apples) but I think it was a Performa of some sort. After that, went to PCs (my new employer had these). 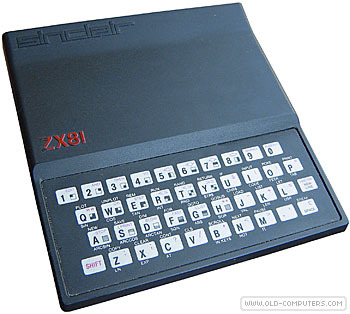 Nice machines, i have the argentinian version of the ZX81, the CZ1000, with 2k of memory, a ZX Spectrum english edition, a CZ Spectrum Argentinian Edition, a Timex Sinclair 2068 USA Edition, a Mac Classic II, a Mac LCIII, a Performa 580, a Performa 5215 and finally a PowerMac 8500.